San Diego cleaning services of the highest quality can be experienced when you hire one of the expert housekeepers at Maid Fast Services. This company offers regular cleaning services at whatever rate you need them. They will come weekly to clean the most-used areas or come less often and ensure that every area is given a thorough cleaning. 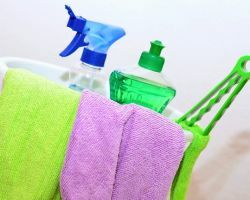 In order to make what they do even cleaner, this company has developed a list of their most popular cleaning services like mopping floors and cleaning sinks. Royalty Cleaning Services has been providing incredible cleaning packages to their California clients for many years. For relatively cheap prices you can hire this company to give your home a deep cleaning. For just a little more money, you can opt for a more intensive but still affordable package. Whether it is your home that needs a regular cleaning or you would like this company to clean your vacation rental or home when you move out, they offer a package that can cover it all. A commercial cleaning service or even an office cleaning service will not do when you would like a professional to come and clean your home. 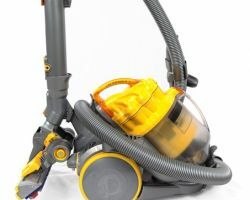 Every kind of property requires a special touch and the experts at Eco Clean Services have the exact experience and cleaning techniques needed to provide residential services. 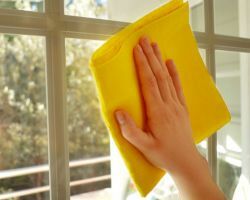 The house cleaning offered by this company is perfect for when you are moving in or out of a home as well as for seasonal attention to keep the home healthy and fresh. In order to make your experience with this local house cleaning service as straightforward as possible, Scrub Doctors has created a comprehensive list of all of the very specific cleaning services they can provide and all of the ones that they are unable to due to insurance limitations. For the best housekeeper in San Diego, you need to hire a professional from this company. Each member of the cleaning team is friendly, experienced and highly trained. Reviews cannot seem to say enough about how enjoyable the experience of working with this company can be. San Diego Maids is the premier maid service in San Diego, CA. This company offers all of the house cleaning options you need in order to keep your house in the best condition all the time. They offer cleaning at a time that is convenient for you and cleaning services that are specific to your home. 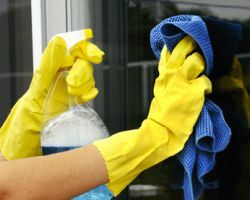 The cleaner at this company will treat your home with the same level of care and attention you would, if not even more. They work to exceed your expectations and give you peace of mind.